Grey and Simcoe Foresters from North Simcoe participated in “Operation Mandible” a training exercise at the Meaford tank range. 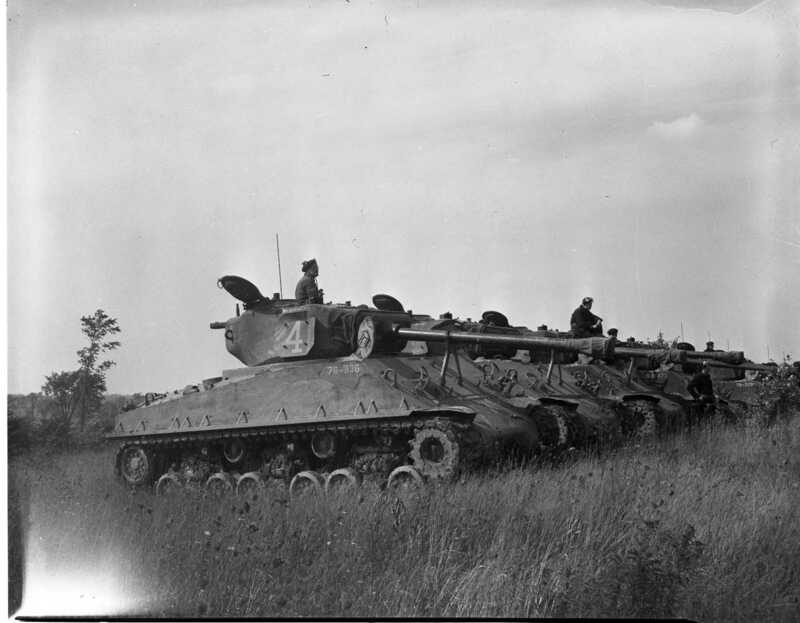 Pictured is a formidable line of Sherman tanks. Over 700 men from Canadian Army militia units of the Central Command were involved. 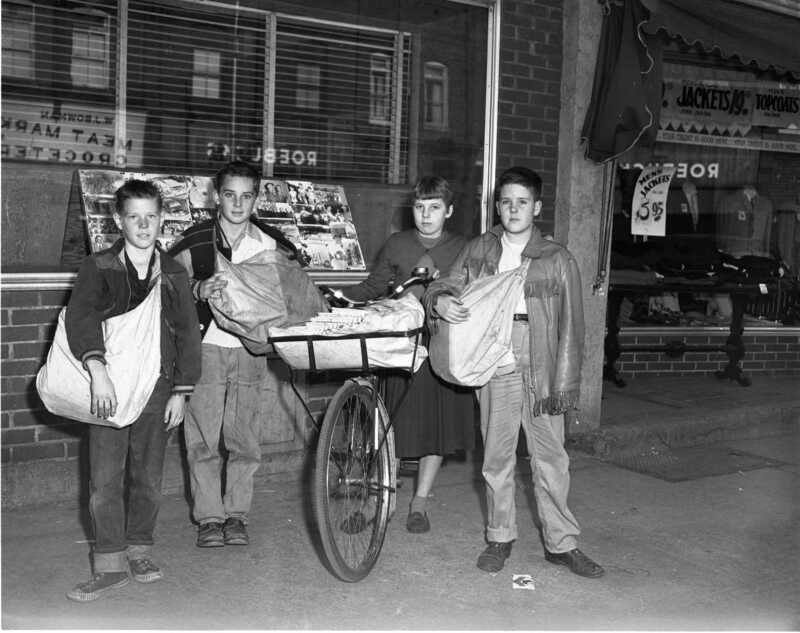 Photo of four Free Press newspaper carriers in front of the Free Press office on King Street, Wallace Crawford, Gary Blake, Elizabeth Cowan and Graham Shaw. Midland Free Press employs 38 carriers, each running their own business. Every publishing day they draw their quota of papers and at the end of the month they are billed for the number they have purchased. Then they collect 35 cents from each customer and out of this monthly amount they average about 14 cents per customer. 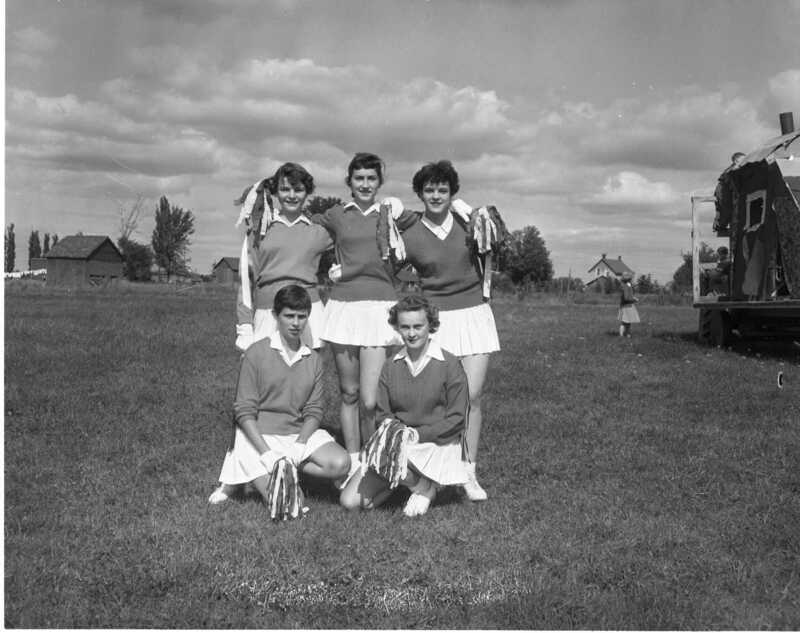 Beautiful cheerleaders Elmvale style pictured at the fair last weekend, kneeling, Stephanie Shaw and Betty Marcellus, standing, Bonnie Flotron, Lois Rowntree and Myrna Ingleton. Bill Swann is seen winning the heat in the junior 100 yard dash during the MPDHS track and field meet last week. 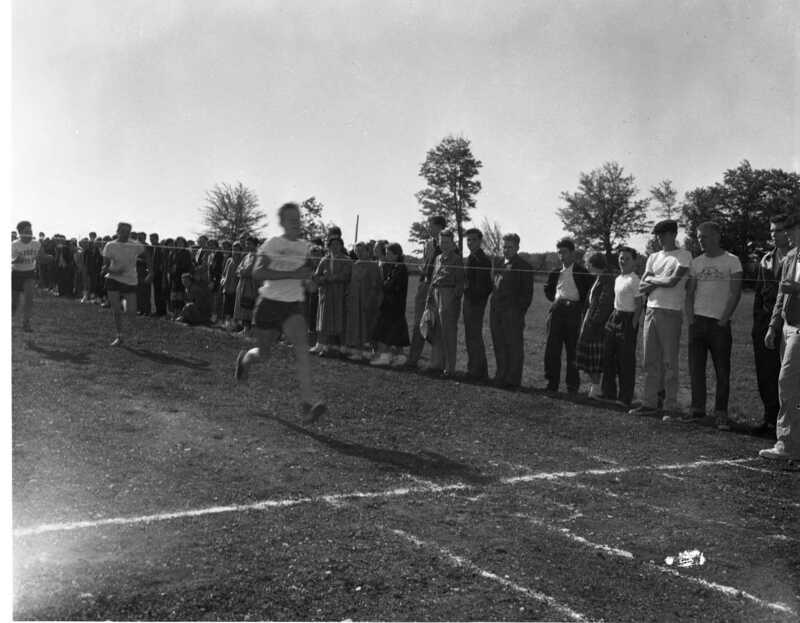 Bill later won the final in the same event and will represent his school at the Tudhope Meet in Orillia. A true Thanksgiving is in store for the family of Pat Arthurs who was killed in a car accident August 30th. 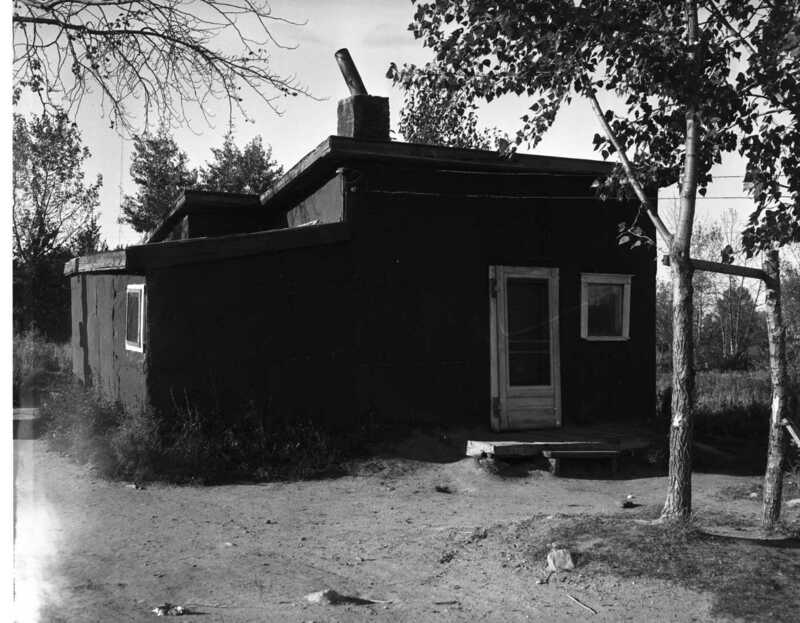 His wife and six children were left destitute and have been living in this tar paper shack just off Second Street in Port McNicoll. A fund administered by Rev. 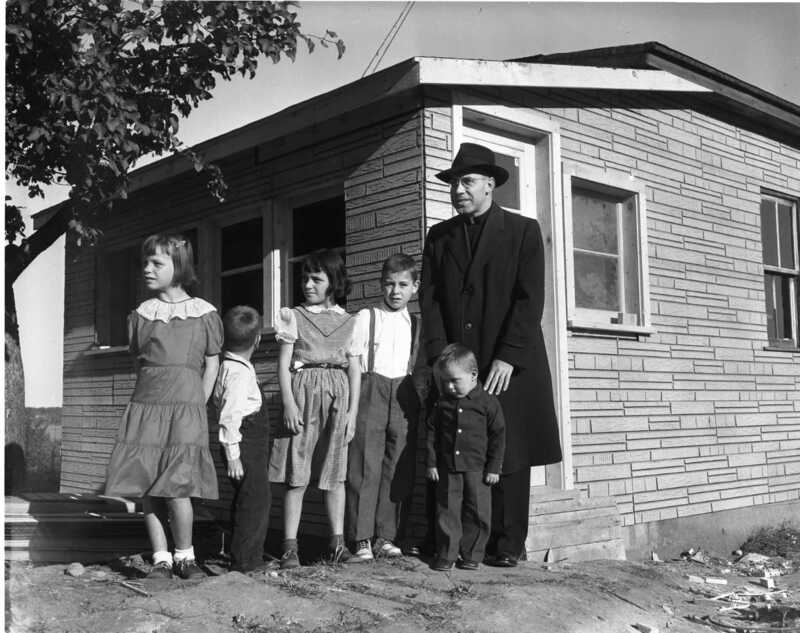 Leo Austin reached nearly $1,600.00 and made possible the new home where Father Austin is pictured with five of the children. The house was built with volunteer labour. Port McNicoll Parish Priest Rev. 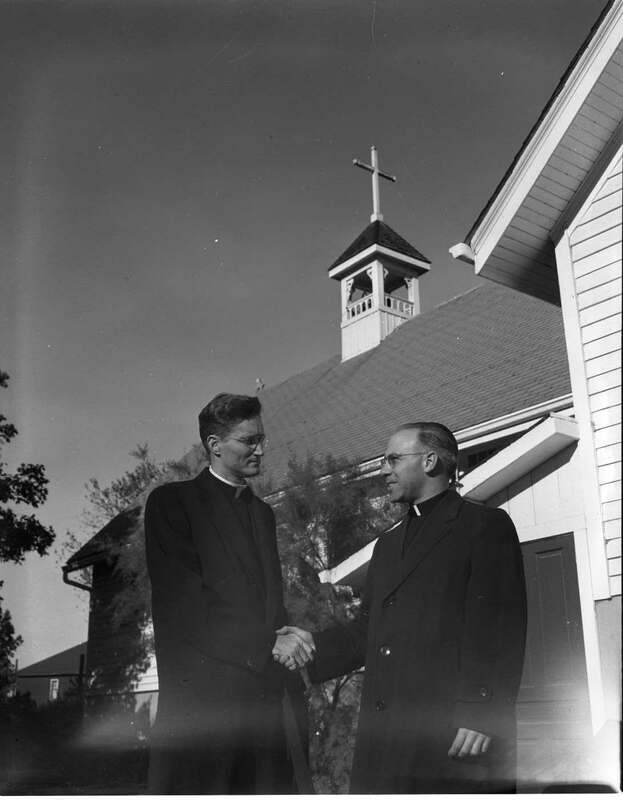 Leo J. Austin is seen offering good wishes to his successor on the left, Rev. Frank Sullivan, former chaplain at St. Joseph’s Hospital, Toronto. Father Austin left Saturday to become pastor of St. John the Evangelist in Whitby. Adeline Carpenter married Peter Smith at the age of 20 and they farmed most of their lives, over 50 years, on a farm on the 2nd concession of Tiny Twp., moving to Midland 20 years ago. Mrs. Smith is ninety-two. Several of her nephews still live in the Waverly area, Walter, Jack and Fred Carpenter, Mrs. Frank Reynolds in Waverly, Mrs. Henry Reynolds in Wyebridge and Mrs. Percy Woods in Ebenezer are nieces. 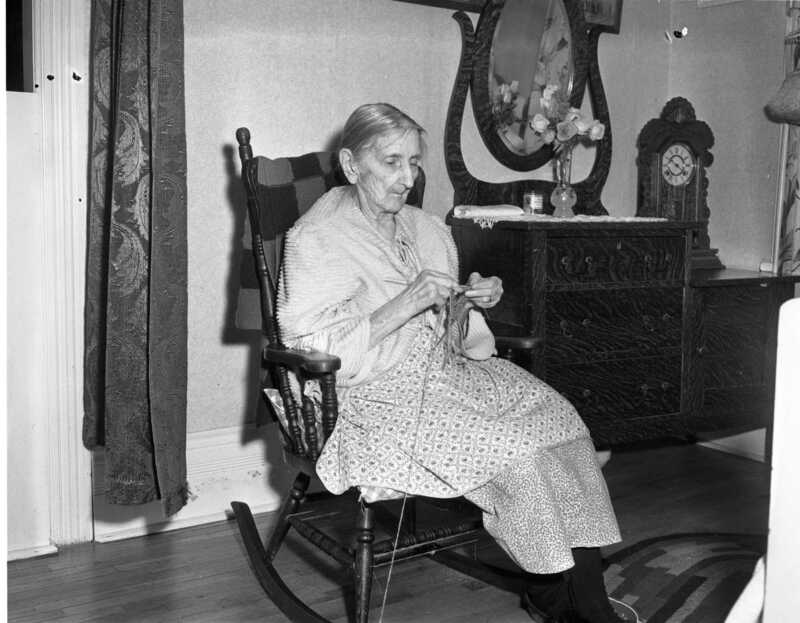 It has only been the last 12 years or so that Mrs. Smith has been sightless but continues to knit hundreds of pairs of socks and mittens for local children. New taxi with 1,300 miles on it ends up in the bay off the town dock. 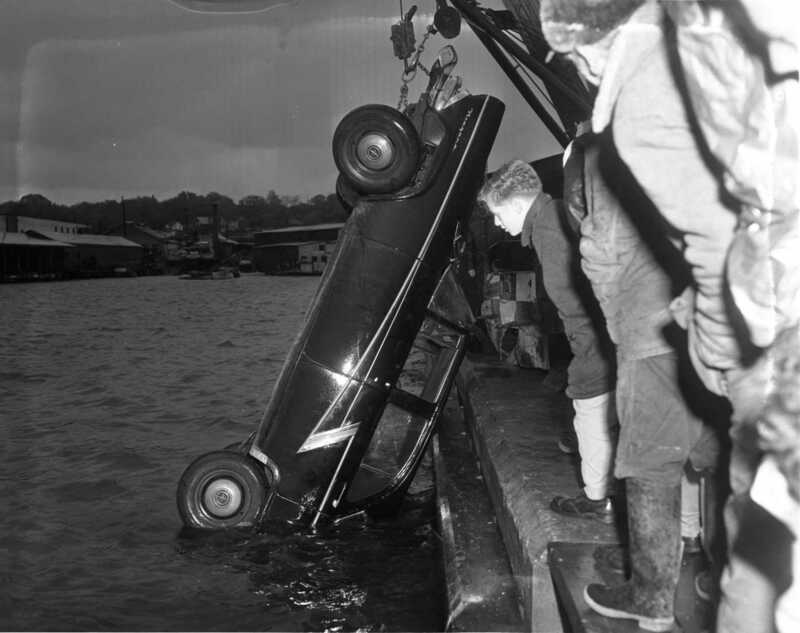 The driver was Dalton Crawford who went down with the car but managed to roll down a window and escape. Owner of the taxi is Bert Martin. 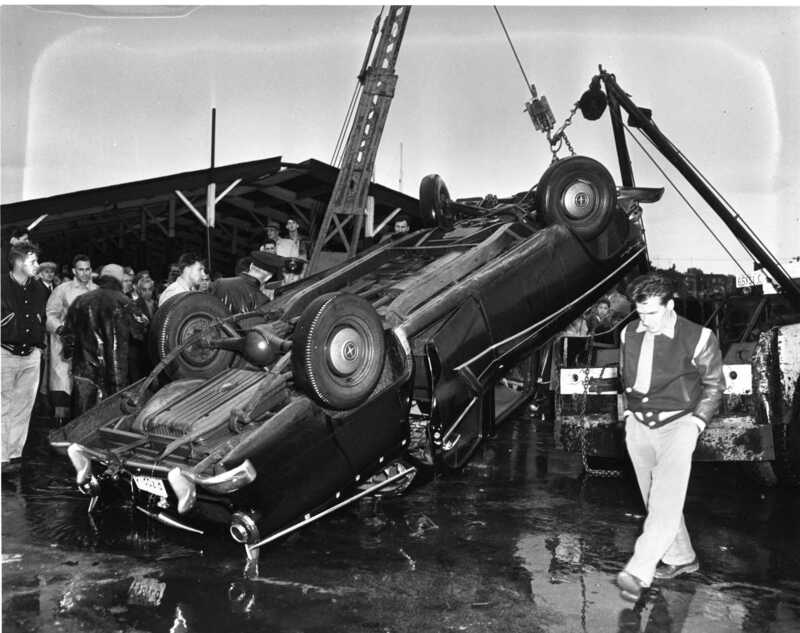 Several attempts had to be made by Ken Beatty before the heavily damaged vehicle was salvaged. New MPDHS cheer leading squad bolstered by the addition of two boys. 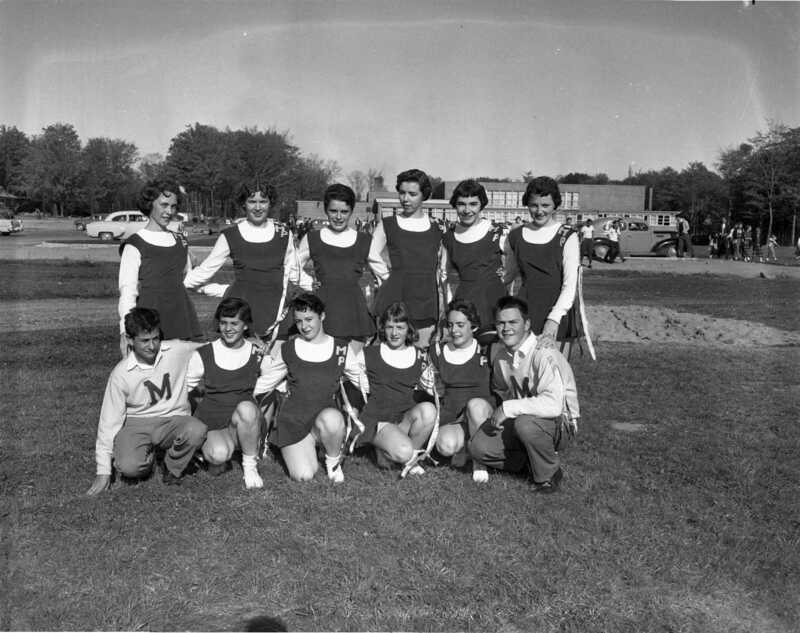 Front, Gerald Sibbald, Sheila Barber, Linda Contois, Shirley King, Janice Switzer and Don Biggs, rear, Sylvia White, Marilyn Thompson, Gail Gamna, Gail Marshall, Lucille Duquette and Rosemary Shields. 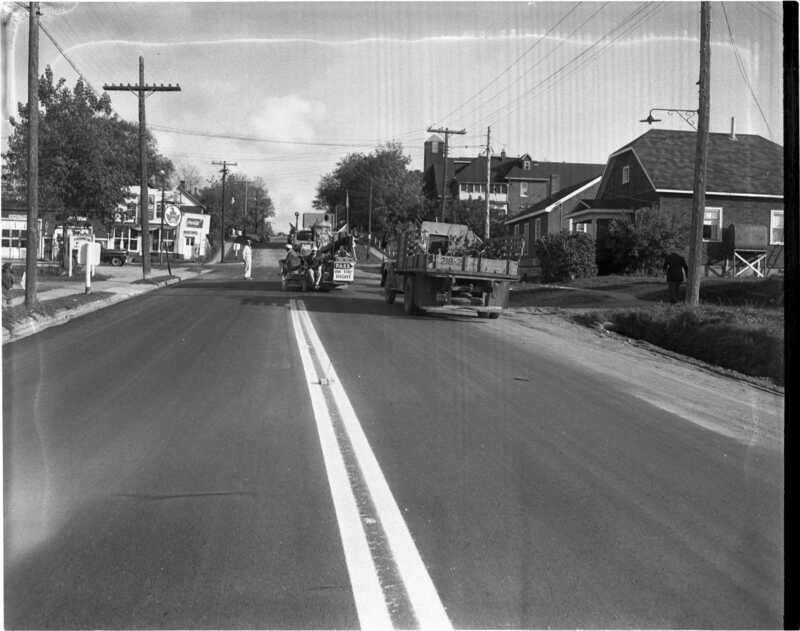 Often called the greatest invention of the 20th century and credited with saving hundreds of lives, workers paint the white lines on the newly surfaced highway through Victoria Harbour. 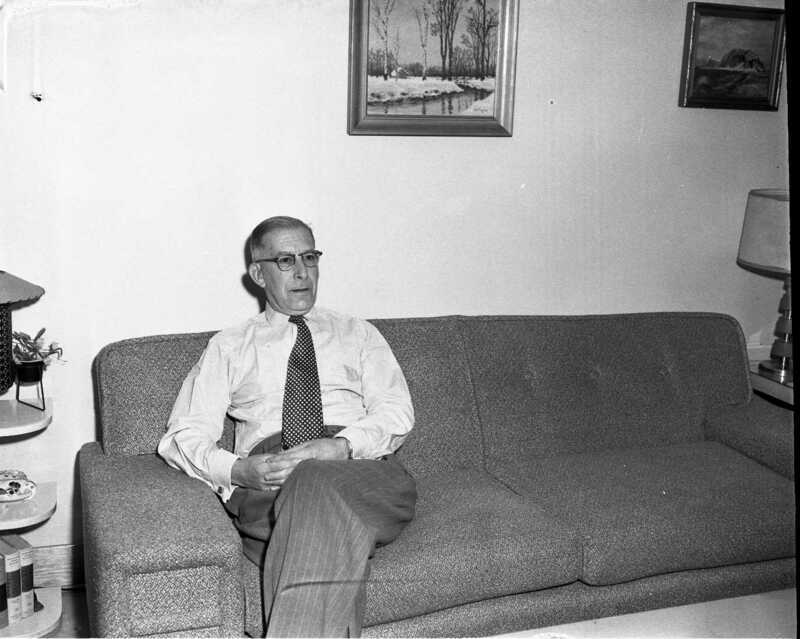 New choir leader and organist at Knox Presbyterian Church Midland is Stanley Harman seen relaxing in his Manly Street home. Recently retired after serving 30 years as an official with the CNR in Toronto and Montreal. Huge boulders and lots of stone were encountered by contractors as they extended the Tiny Township portion of Hugel Ave. out to Highway 27. Many of the larger boulders were re-buried in pits alongside the new road. Midland Parks Commission crews are removing and cutting into firewood about twenty mature trees in Little Lake Park which have been considered unsafe. Chairman W. J. Murray said that sixty, four year old pine, larch, elm , maple, polar, oak, walnut and butternut trees have been moved from the arboretum at the park’s west end and transplanted. 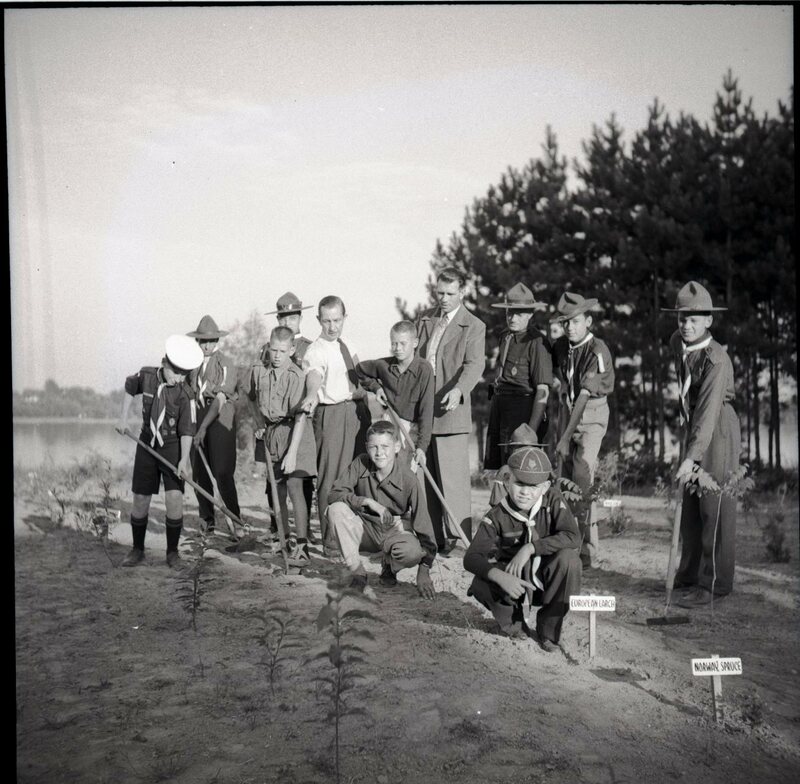 Two photos below from 1953 show the planting of the arboretum. Scouting youth and leaders as well as Midland Parks Commission staff are seen examining newly planted seedlings on the North side of Little Lake. Twenty two different varieties have been planted, signs mark Norway Spruce and European Larch. St. Margaret’s Scout group help weed the Midland Parks Board arboretum seed bed. Men in the photo are Scoutmaster Ted Johnstone, Park Board Chairman William Murray , Parks Superintendent Harold (Mac) McAllen. Boys in the group are John Barber, Francis Cadieux, Lloyd Kaus, Bill Deschamp, Larry Deschamps, George Johnstone, Doug Blake, Phillip Charlesbois and Ronnie Dalziel. 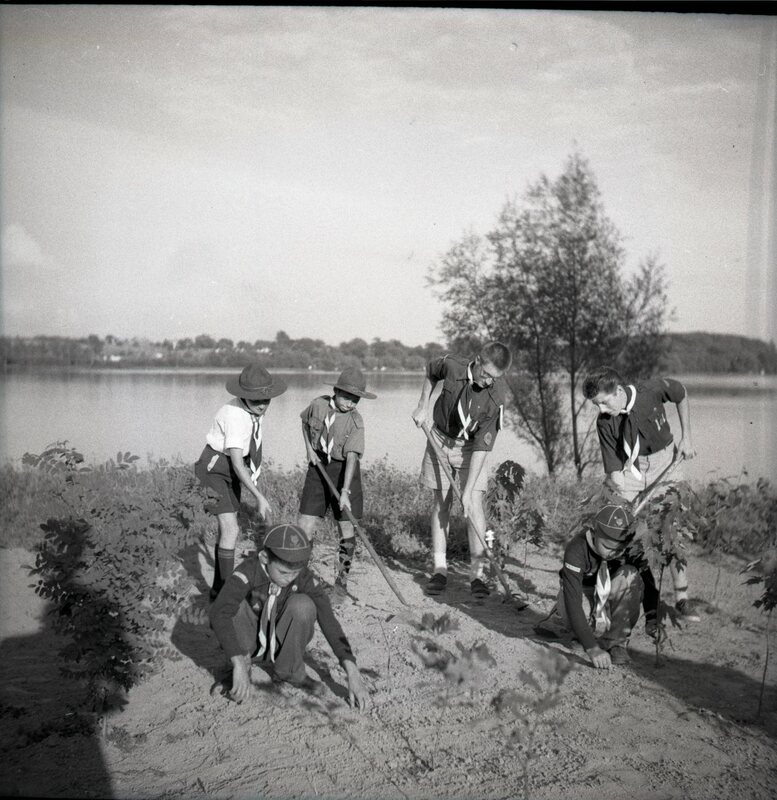 Rover Scouts Bill Lavigne and Guy Johnstone; Scouts, Ross Lavigne and Ronnie Larmand and Cubs Bernie Montgomery and Wayne Lavigne weed seedling trees. Little Lake is in the background. Courses in basic English and citizenship for new Canadians operated by the Midland – Penetanguishene High School Board will open Tuesday October 9th. Registration begins at the YMCA at 7:30 p.m. Friday, October 5th. The board of the Protestant Separate School in Penetang has found it necessary to open a new classroom this term and has been successful in finding a new teacher. Board chairman Ed Webster said attendance at the school has increased by 42 students during the past three years, from 172 to 214. CKVR TV in Barrie seeks to increase the power of its transmission much to the dislike of many local viewers. While few viewers were happy with the allocation of channel 3 to Barrie because of the virtual block-out of channels two and four from Buffalo, the increase in power will extend that interference to a larger part of the province. Lawrence Fournier of Penetang, while playing cribbage with fellow Beatty employees, was dealt a perfect hand. Wood for sale; 4′ lengths $10.00 per cord, 16″ lengths $12.00 per cord. At the Pen, Lucille Ball and Desi Arnaz in “The Long, Long Trailer”. At the Roxy; Gary Cooper, Charles Bickford, Ralph Bellamy and Rod Steiger in “The Court Marshall of Billy Mitchell”. Advertisements: Hillsdale – Waverly Bus Line to Midland, daily except Sundays. Parkside Pavillion, A Jamboree of Country Rock & Roll starring the fabulous Red Monroe and the Country Mainliners. Bourgeois Motors, see the magnificent 1957 Meteor today at our Vinden Street showroom. Fall Fashion Show accompanied by live models, put on by Edwards and held at the community hall in Wyevale. Mrs. Olive Brunelle wishes to announce that the Chalet Beauty Salon at 248 King Street will no longer be open for business. Thanksgiving Dinner at Bourgeois Lakeshore Dining Room, $1.50 for either turkey, fried chicken, roast beef or pork chops and $1.75 for T-Bone steak. Gammon Tires, 189 Dominion Ave., Don’t wait until the snow falls, winter tires, 670-15’s, $29.00 a pair. Cottage Lots, now available for lease on Christian Island Reserve. Opening October 15th, Major Hairdressing at 215 King Street, Gertrude Major proprietress. G&M Shoppe and Watson’s Ladies Wear , Elmvale, are promoting “Teena – Paige” fashions sizes 7-15 and “Harbrook” English sweaters. Plastics division of Percy Harmant Co. becomes the Plastic Division of Midland Industries Limited, 36,000 square foot addition to Elizabeth Street plant to start immediately. Harmant has been in the plastics business for 20 years operating from a six storey factory on King Street in Toronto. H. J. Payette, son of Mr. & Mrs. Napoleon Payette and a native of Penetang, received papal honours when he was elevated to knight commander of St. Gregory the Great in a ceremony in London Ont. where he now works for the Catholic School Board. Ontario vehicle registrations in 1955 were 1,617,000, forty percent of Canada’s total. In 2015 the total was 7.9 million, thirty six percent of the national total. Doug Strathearn moves his jewellery business from 215 King to 245 King, the former site of Ted McKillens clothing store. The store operated by his grandfather, George Strathearn, was originally located near the Queen’s Hotel at the corner of King and Bay and was advertising in the Free Press in 1872. It then moved to where the Bank of Montreal is located, then to 215 King where it has been for 28 years. Jim O’Hearn is to manage the Knights of Columbus bowling alley that is to be officially opened Friday night. St. Andrew’s Hospital Auxiliary is holding a “Pantry-shelf Pick Up” Thursday and Friday. 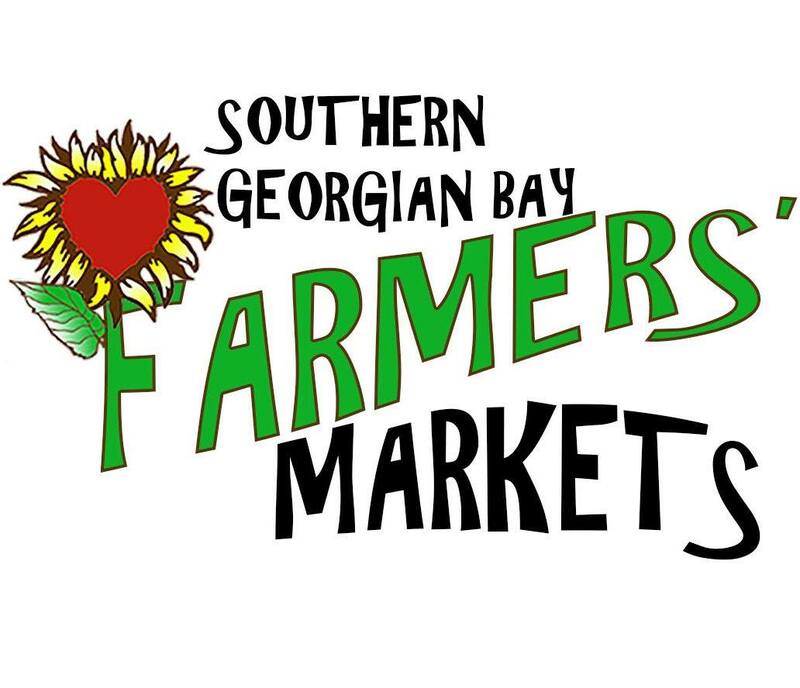 Includes Jams, Jellies, Juice, Fruit, Vegetables, Pickles, etc. Labelled contributions to be placed in a conspicuous spot on your veranda by 10 a.m. Sealers only will be returned empty, if name and address is on the label. Georgian Bay Propane formerly situated on the town dock has moved to 207 Hugel Ave. E., the Georgian Block. 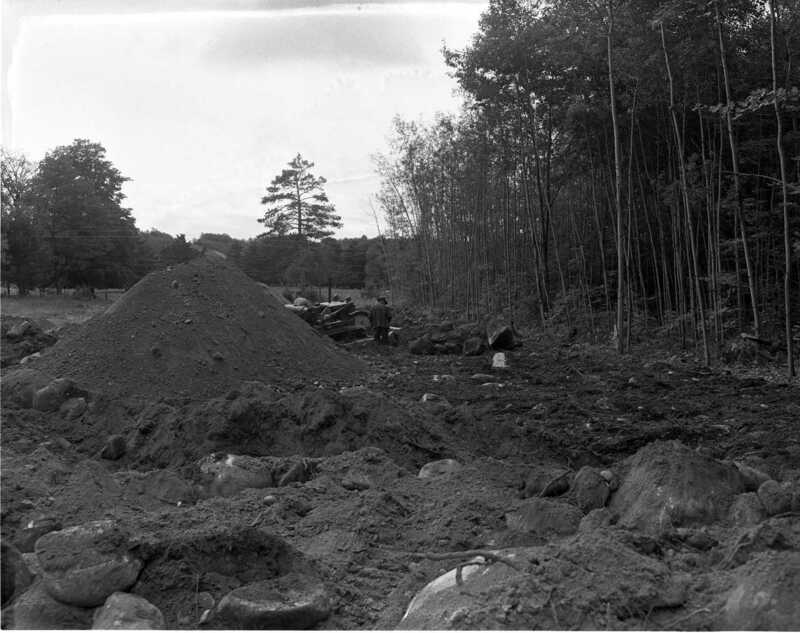 25 YEARS AGO, 1931 – Foundations for the new $34,900 post office and customs building at Main and Robert Streets in Penetang, had been started. May 1932 was the date set for completion. Stanley Dobson of Midland broke his own junior shot put record in the eight-pound event at the track and field meet at the Barrie Fair. He also won the 12-pound event. 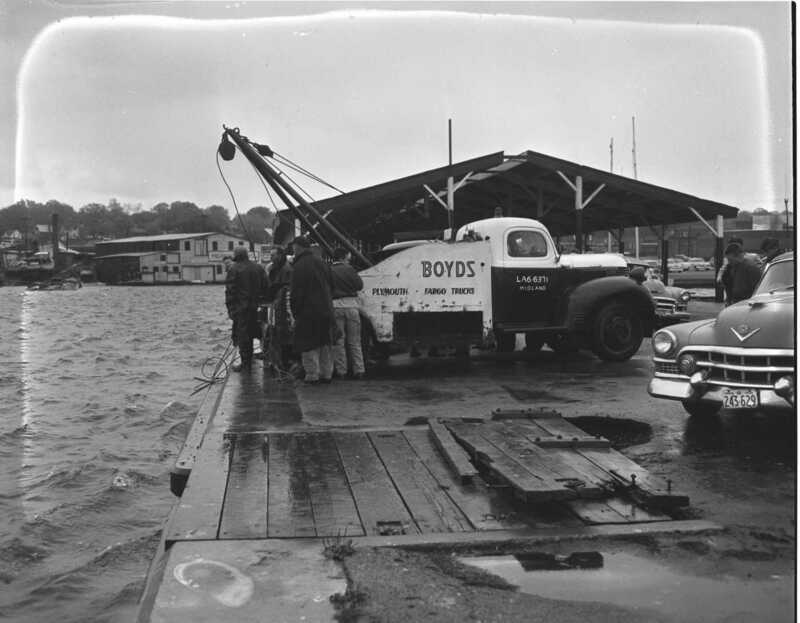 In a relay race from Victoria Harbour to Midland, a Victoria Harbour team defeated a Midland aggregation. First lacrosse game in Penetang in 20 years , saw Penetang gain a 3-2 win over a team from Barrie. Midland council, under the direction of Mayor Roebuck, held a special meeting to draft a program of work for the town’s unemployed. Fire which broke out in Lionel Bourgeois’ service station in Victoria Harbour about 9.30 a.m. October 7th, completely destroyed the building. Only the cash register, a desk and chair were saved. A severe electrical storm swept across North Simcoe causing major damage to hydro lines in Midland. Transformers at St. Andrew’s Hospital, Midland Shipyard, on Queen, Johnston, William and Yonge Streets were in some cases damaged beyond repair. Keith Preston of Midland out-fiddled nine other contestants last week at Elmvale to win the old time fiddlers contest at that community’s fall fair.